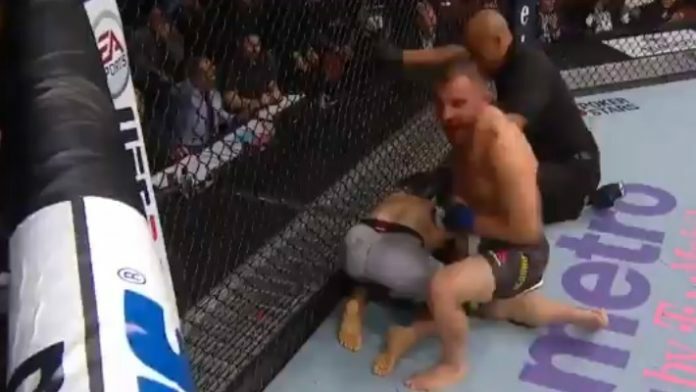 Alexander Volkanovski was able to close the fight against Chad Mendes in brutal fashion. The two fighters met in a featherweight bout at the UFC 232 pay-per-view event from the Forum in Inglewood, California. After a wild round and a half, Volkanovski was able to land a nice body/head combo that dropped Mendes and finished the fight.